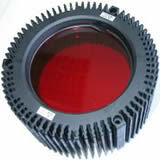 A water filter absorbs infrared light of those wavelengths that would otherwise present a thermal burden to the skin. An important feature of water-filtered infrared-A (wIRA) is its ability to penetrate into deeper-lying tissues while at the same time being gentle to the skin, thus allowing the application of wIRA at higher intensities resulting in increased effectiveness. 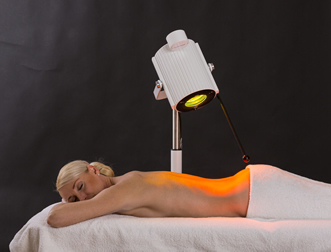 Water-filtered infrared A light therapy can be used to provide infrared heat therapy to relieve muscular soreness. Infrared therapy may also improve peripheral circulation. 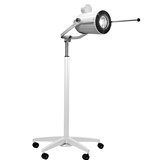 Can be used in conjuction with physical therapies including massage. 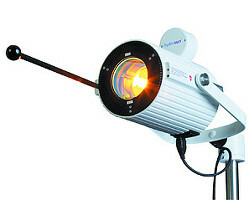 The Hydrosun 750 is used as a light source in Photodynamic therapy.